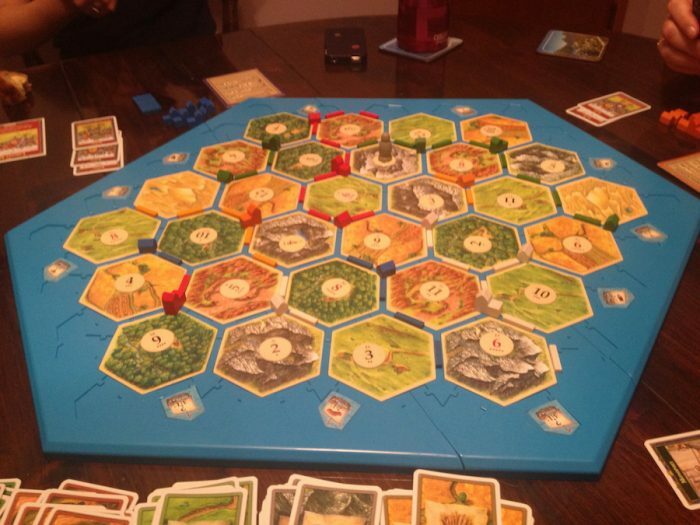 My first introduction to real board games was Settlers of Catan. By real board games, I mean anything not designed just to pass time and make you hate your friends when the game is over (like Monopoly and Risk). One of my friends brought Settlers of Catan over for a game night, and the next day I ended up ordering Settlers of Catan and the 5-6 player expansion for it. Thanks to Settlers of Catan, I’m now addicted to board games. My next board game purchase was Small World. Small World is very similar to Risk, but its so much better. Small World makes Risk-like games enjoyable because even if you are starting to fall behind, you can easily take over large sections of the board with your new race and it’s army. Small World led to more games. I bought some, recieved some as gifts and bought some more. We’ve started to get a decent collection now, including a currently very hard to get game, Betrayal at House on the Hill, thanks to my sister. 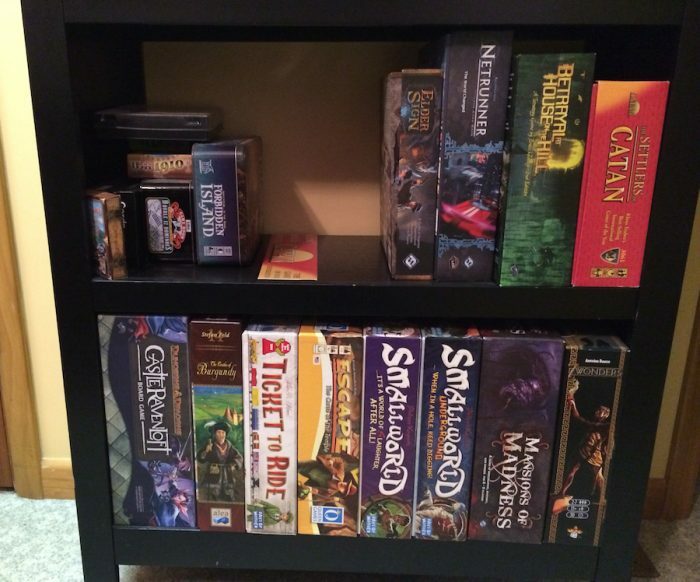 Sitting around a table with a few of your friends or family playing a board game is much more enjoyable than playing on a TV with your friends across the internet.